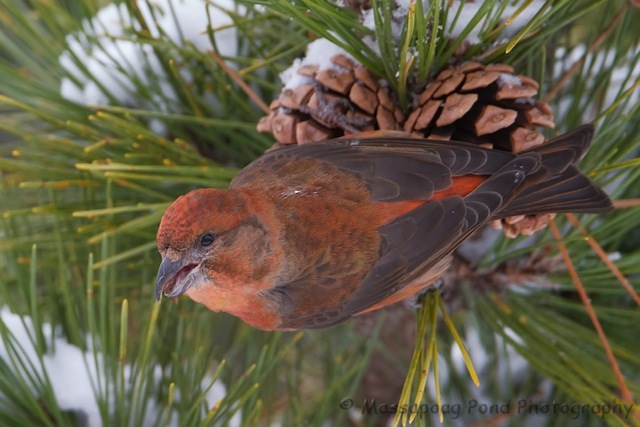 Evening folks…along with the White Winged Crossbills, Common Redpolls, Pine Siskin and Pine Grosbeaks, another member of the finch family has made it's way this far south as well, the Red Crossbill. Over the past few months you have seen photographs I have taken all the others except this one. On my trip to Salisbury Beach on Tuesday I was able to photograph this handsome guy..